Web service and mobile app overhauled to make "finding the best TV brilliantly simple"
Sky's online TV streaming service, Sky Go, has today received its biggest ever redesign. 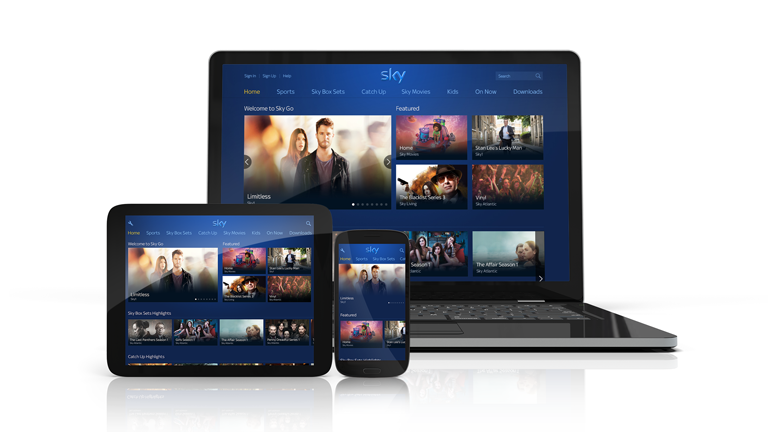 The update, which is being rolled out across the UK and Ireland throughout this week, delivers a new design for both Sky Go's web service and mobile app. Android users can access the redesigned mobile app right now, with iOS users getting the same treatment in a staggered February roll out. In addition, the redesign updates the service ready for a series of further additions to be made to the platform throughout the year, with additional features to be added that are geared toward making finding and watching great TV easier and more intuitive. More information about Sky Go and, crucially, Sky Q will be coming throughout the year to T3.com, so keep your eyes peeled. Why not read T3.com editor Dan Grabham's everything we know report on Sky Q right now?